Is it enough for a business to have an offline storefront? If yes! What about those customers who are searching your business online? If No! Let’s get in deep of the topic Why and How your business can be online! Why must A company take their business online? 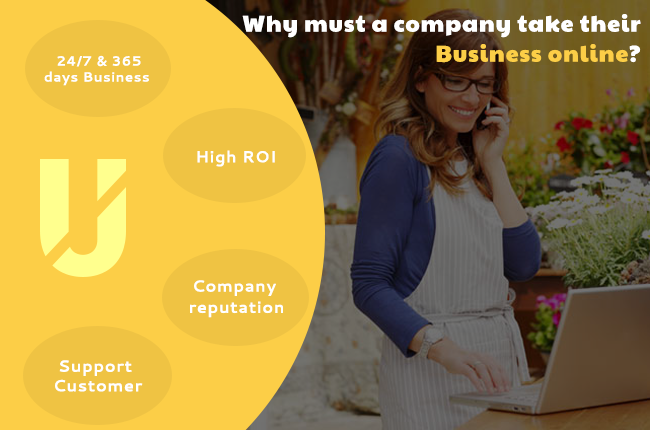 Traditional company (started by predecessors/family) that does business through physical location either via phone or emails, must have an online business to connect to modern customers. It may sound risky with the hackers being caused but there is deeper and higher turnover to begin selling business online. Your offline store will have defined time of opening and closing; probably 9 AM to 7 PM and weekend off; In this process, if any of your customers comes to you on Sunday or 8 pm, he will have a tough time to contact you. However, businesses having an online presence will always be accessible on the web to meet customer’s demand anytime anywhere. Every customer expects quick and instant response from the service provider. Although, when your website is online, it is a proof that you will respond to customer’s query at an instance. This creates a sense of credibility and trustworthiness about your website in the minds of customers. 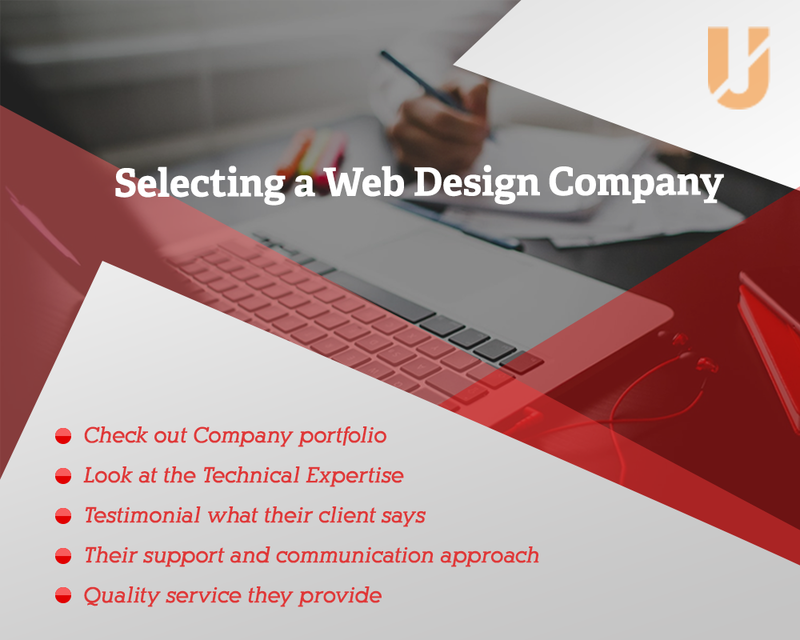 Otherwise, if you simply tell people we are the supportive team of experts, they need an evidence of it which can be possible through having a website for business. The well-developed, nicely presented and professional looking website will definitely boost your business reputation. Supporting customer, the time they desire is the best tip for creating the lasting relationship. The corporate presence with a website is likely considered as the ongoing physical presence on the internet. Customer seeks support from businesses and you will not have a probable idea of when they demand it. Thus, FAQs, contact page, live support option etc on the website can be a supportive source for your patrons. 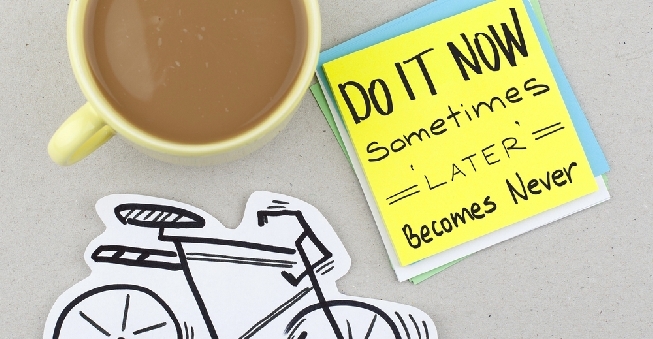 It’s never late to start an online business or take an existing offline business to online. If you are a start-up, then researching on purifying existing business idea based on interest is a key strategy. Once you’ve done with refining idea, the next thing comes is study about competitors, what is the best part of their success, what things they are lacking behind; Analysing these aspects can boost your passion towards making the business into growing path. What is domain? Domain is an online name of your business accompanied by extension (.net, .in, .com, .biz, .org and so on). Web Hosting and Domain Registration goes hand in hand. Web Hosting is the process of hosting a domain or business/ it is considered as storing a place on the internet in the name of your business or for your business. booking domain first and then starting up of web design. Selecting reliable web design company is a quite difficult task. With the enhanced competition, there are a lot of companies offering web designing services. You might have a critical question in mind, what exactly a website is! 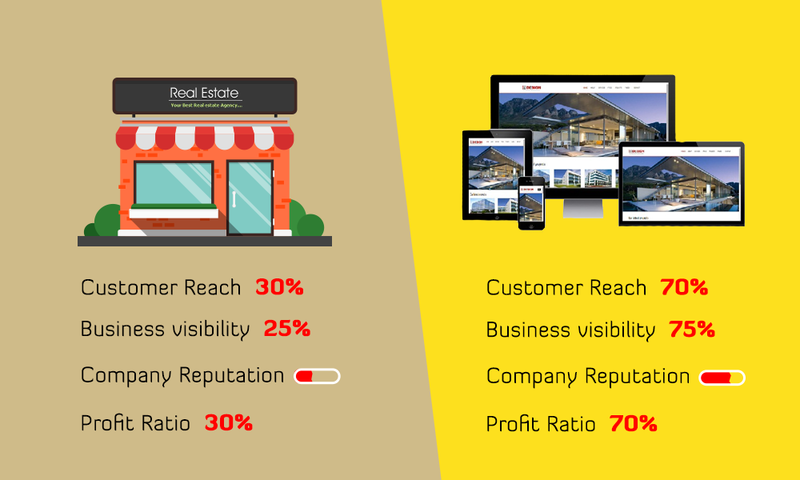 A website represents the physical location of business. Internet is an online venue where website resides and website is a place which your business resides. Related article: What is a website and how can website improve your business? Having website is like ongoing and enduring existence of business; you can simply promote it by having it. Now when you have an online accessibility to your business, we wish you eternal success. I hope the article on Actionable Tips to start online business conveyed actionable tips to bring offline business into online.